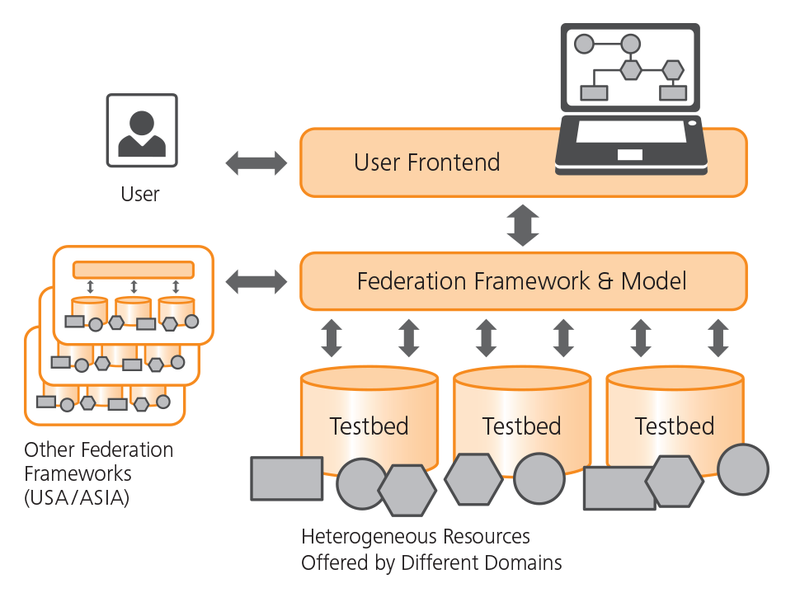 Jointly FOKUS and AV maintain a generic resource framework that has been developed in the course of multiple projects (Panlab, PII, TEFIS, G-Lab, OpenLab, Fed4Fire) and is used today to federate heterogeneous resources across multiple sites in Europe. Users from both industry and academia benefit from the prototypes and tools provided around this framework to gain access to distributed resources that can be used to perform testing and experimentation. Resource providers benefit from joining a federation due to increased average resource utilization, an additional “sales channel” for expensive experimental infrastructure, and the possibility to gain access to cutting edge Future Internet research and experimentation.